This birth story is monumental. Not only does it tell the beginning of a precious life, but it also marks the beautiful beginning of the UF Health Birth Center (a.k.a. The Nest). The UF Health Birth Center brings a unique birthing option to the Jacksonville area as a state of the art, midwife-led birth center housed within the UF Health North hospital. It offers the feel and peacefulness of a natural home birth, with its gorgeous Pottery Barn decor, but also the benefits of large birthing jacuzzi tubs, a massage room, and intimate exam rooms. Those who are looking for a minimally intrusive, but well supported birthing option will fall in love with The Nest and it’s midwives at first introduction. You can hear exactly how Elizabeth felt when she first visited in this interview with Melanie Lawson and hear more about the vision of the center from director, Cindy Williams. I learned of the birth center when it was still in the dreaming phase through my dear friend, Amanda, who is now the center’s nurse manager. 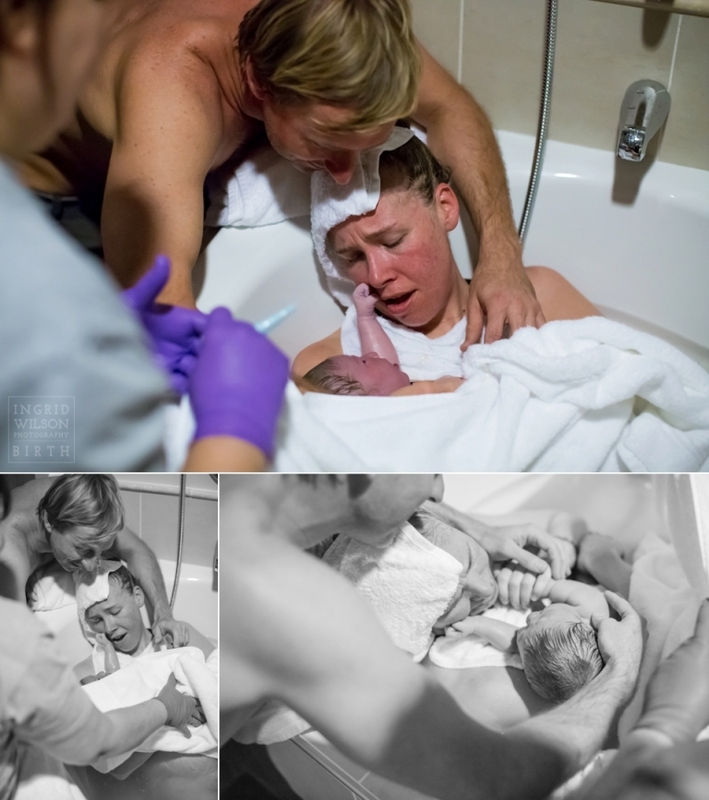 As a birth photographer and birth enthusiast in general, I couldn’t help but share in all the mounting excitement. In support of Amanda and Cindy, I wanted to help in any way I could, from designing their birth certificates to building an actual nest for the babies to be photographed in after birth. I wanted to be sure that the inception of the center was documented so I volunteered my services- that is how I got here- sharing a photographer’s perspective of the birth of the center and of the precious first baby- Daisy Cameron. It was Thursday, March 13th. Elizabeth and Jamie Borders had an appointment at the UF Health Birth Center around midday and it definitely appeared as things were progressing well and that labor was eminent. The couple headed home only to return several hours later. It was around 8 pm when I got the call from Jamie that they were returning to the center because contractions were 3-5 minutes apart and Elizabeth’s measurements at the earlier visit were already around 5 cm. Though Elizabeth didn’t feel 100% certain it was time, she was asked to come in to be checked. The whole team, including Vonda Bartlett, Elizabeth’s doula, met the couple at the center. It certainly appeared that things were progressing, but after several hours the contractions seemed to peter and it was declared a false alarm, just as Elizabeth’s intuition had suspected. It was almost 3 days later when everything changed and Elizabeth’s labor pains were undeniable. I was called around 6:30 pm on Sunday, March 15th. 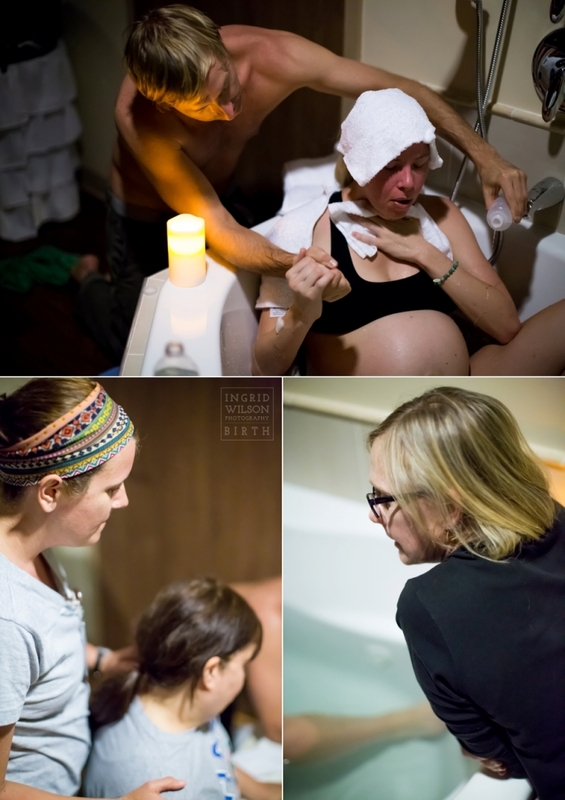 By the time Amanda and I arrived at the center, Elizabeth had just gotten in the birthing tub, which she found to be extremely comforting. I immediately began documenting as Elizabeth labored gracefully with the encouragement and comfort of Jamie and Vonda supporting her. One by one, all of the center’s midwives arrived, wanting to be present for the first birth. There was hugging and encouragement shared all around as the excitement and joy continued to grow. As delivery time grew near, the midwives went into stealth mode- each playing a uniquely quiet role in preparation. Cindy and Sharon were tub-side communicating serenely with Elizabeth every step of the way as her body prepared to deliver. Throughout the room there were knowing glances of anticipation and all watched on with baited breath. At 9:59 pm Elizabeth gave one last push and Daisy Cameron was born into the world and immediately placed in her mama’s arms. Elizabeth and Jamie reveled in their first moments of parenthood while the rest of the room just observed blissfully. Elizabeth then moved to the comfort of the bed where they enjoyed more family bonding through skin to skin time and nursing. Daisy was a champ through her brief infant exam and weighed in at a healthy 9 lbs. She posed for a few quick pictures and then the new family snuggled peacefully. Within 4 hours they were saying their goodbyes and heading to the comfort of their own home and bed. In my opinion, every birth is unique and extremely special. This birth was no exception. It is always an honor and a privilege to be present during such an incredibly intimate moment. I can’t thank the Borders or the ladies of the birth center enough for allowing me to be a part of something so incredible. I shared my accompanying slideshow which features some video clips from the birth as well.